Phoenix Obsidian Designs is attempting to provide various other Primitive Technological Replications. Currently we have the several other forms of tools offered below. If you are looking for a specific replication please directly CONTACT US or use this Special Request Form (pdf) to obtain a quote. 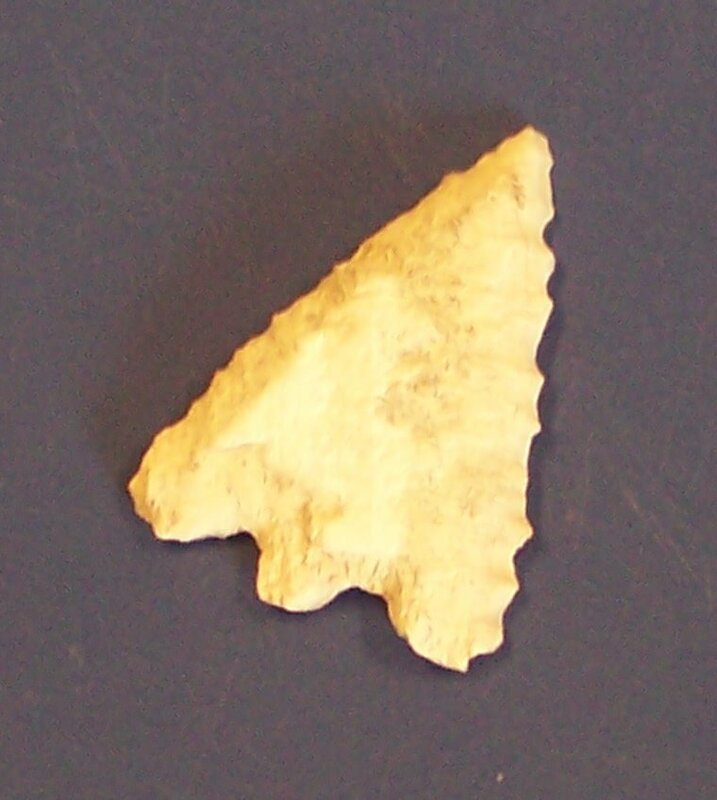 Knife Blades, Projectile Points, Scrapers and other tools were manufactured by the process of flaking and/or grinding shell against a rough stone. Each comes in a labeled display box. 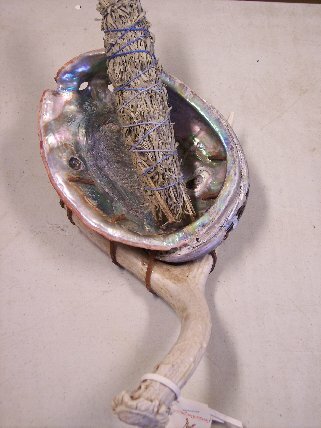 An complete abalone shell lashed with leather thong through drilled holes onto a complete antler as a handle. The basin of this holder should be filled with sand before use. These small baskets are also made for Phoenix Obsidian Designs by Dr. Susan "Arizona" Gleason. Pine needle bunches are coiled around with artificial sinew stitching them together. You can choose here between different sizes and sinew color. These baskets provide a good example of the basic coiled basketry found throughout California. 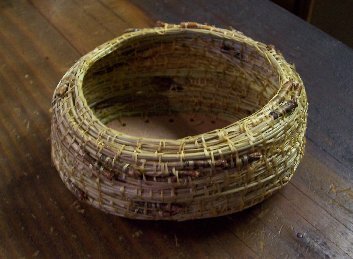 Pine needles became a popular basketry material when more traditional materials became harder to obtain. This also was a traditional common pioneer craft brought by early settlers and based upon European traditional crafts. Twining is a traditional basketry method used for small household items like this mat as well as for making the house itself. This small mat has been twined with cattail leaves in this very traditional manner. This tool is an extremely fascinating example of the ingenous use of natural materials. The soaproot plant has a bulb with very fibrous outer leaves. These fibers, when combed out, make the bristles of the brush. The interior of the bulb is then boiled, creating a sticky paste. This paste is coated around the end of the bristles forming, when dried, an extremely hard but not waterproof handle. 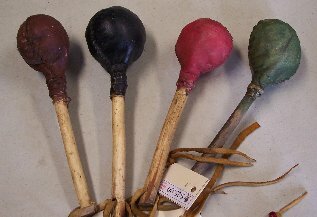 A clapper stick is a rhythmic musical instrument made of a split elderberry stick. 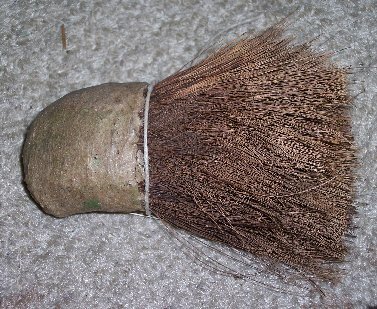 This rattle has a body of a dried gourd that has been cleaned out. The handle is a weathered oak branch. These examples have a very unique sound since they are filled with some Obsidian Debitage. This rattle has a body of a turtle shell with a rabbitskin edging. The handle is a weathered oak branch. These examples have a very unique sound since they are filled with some Obsidian Debitage. 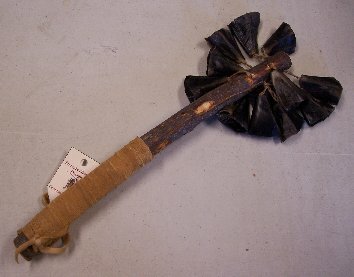 This rattle has multiple cleaned deer hoof bells attached to an oak branch section with a leather wrapped handle. 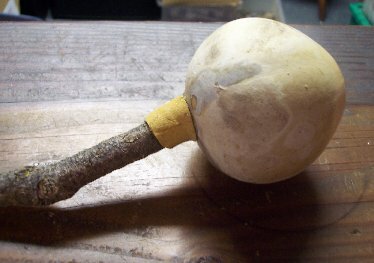 This simple form of a rattle has a rawhide head filled with seeds and attached to a wood handle. This traditional game has come in a wide range of variation, depending upon region. Presented here are two of these varieties - an Acorn Cap Version and a Salmon Vertebrae Version. The goal of the game is to catch all the rings onto the stick. Often it was considered to be tied into the length of the year with each ring representing a month. Quivers were a necessary tool to protect arrows and bows from the weather. These are simple quivers specifically for arrow protection. Offered here in three forms of the hide involved - Otter, Beaver, and Bobcat.